Quote the name and URL of the blogger who "stamped" you: done! List, at least two, titles you've enjoyed reading in 2012: oh boy, oh boy... I'll have to go with Nick Hornby's "About a Boy" for originality and Fernando Namora's "Cidade Solitária" for excellent writing and unique depiction of a generation. List, at least two, books you wish read in 2013: in English, "It's not me, it's you" by Jon Richardson, and "Minas de San Francisco" by Fernando Namora. Giro! 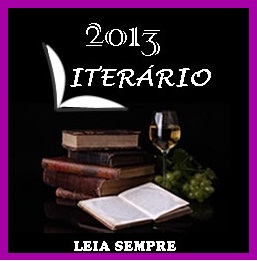 Vou ver os links dos livros, estou curiosa! Beijinhos. Se quiseres empresto-te os livros, faz-lhes bem viajar, atravessar oceanos, conhecer novas pessoas e tal.